with Embodiment Master Trainer and UZAZU Founder Dylan Newcomb. Learn a set of core embodiment principles and practices that will empower you (and your clients) to quickly restore a balanced, more relaxed flow to your social engagement & nervous systems—so you can enjoy personal and professional interactions that are more easeful, deeply connected, and more rewarding! As helping professionals, we thrive on being able to make a real difference in the lives of others. But all too often our own well-being, inner-balance, and authentic flow can get neglected and compromised in the process! It takes a special person—with a great deal of compassion and heart—to be in any of the helping professions. Yet this same high capacity for empathy can make you highly susceptible to emotional contagion from your clients. And this can quickly lead to compassion fatigue and even burnout. Before you know it, your love of helping others has become a huge drain on your energy! Attending to your OWN energy and inner-coherence while remaining highly attuned to the Other, is key to avoiding burnout as a coach, therapist or trainer—both outside of your work and during your sessions with clients. Similarly, being able to quickly and easily ‘switch modes’ after a session or workshop and come back into your ‘non-facilitator self’ is an under-acknowledged challenge for many. 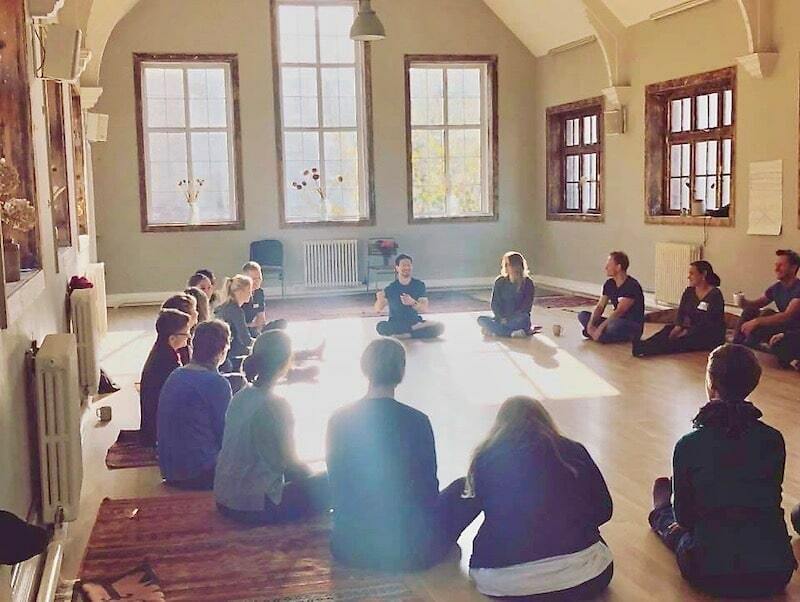 UZAZU Embodied Intelligence training efficiently and effectively teaches you how to better manage your own attention, energy and inner well-being from the inside out, while simultaneously connecting and interacting with others. And this translates directly into easier, more productive and joyful interactions with others, both personally and professionally. The clarity and power of the mind-body-awareness based model and method of UZAZU Embodied Intelligence gives you a simple, reliable approach to understanding WHERE someone’s capacity to be in a coherent interpersonal flow is breaking down, and it gives you the know-how to quickly help them realign their body-mind-awareness into a more full response-able flow. 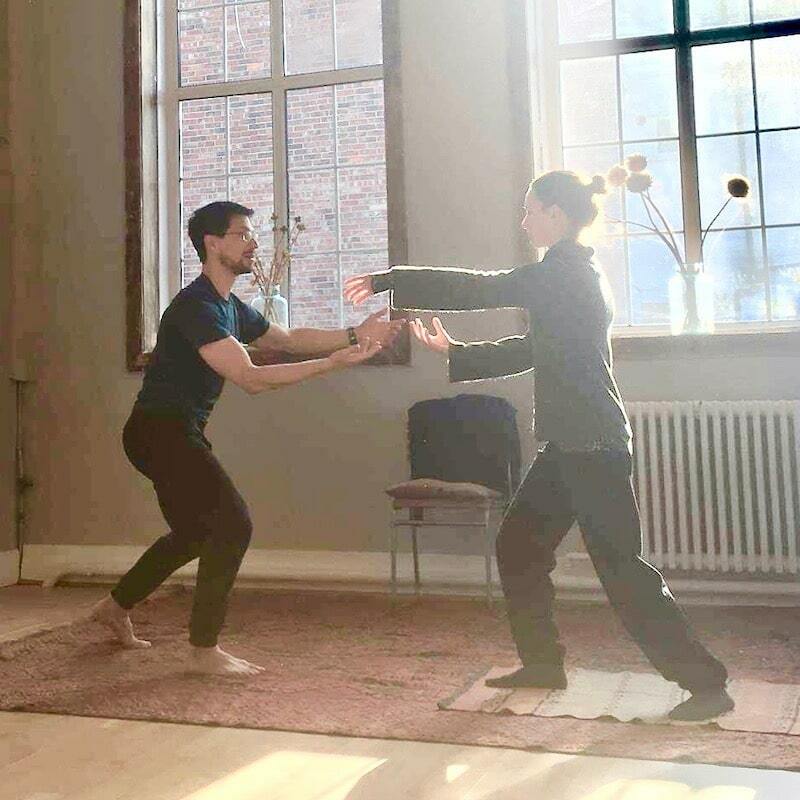 Through a series of personal, interpersonal and transpersonal embodied exercises, and reflective sharing, this 3-day workshop will give you a core set of embodied principles and practices you can continue to work with and apply in your personal and professional life to experience a simpler, more naturally empowering flow and connectedness in each moment. Be guided through UZAZU’s simple Embodied Self-Assessment process so you can clearly identify your own deeper-level preferences, patterns and potential ‘imbalances’ in how you tend to manage your own attention and energy while interacting with others. Learn a simple process you can do before your client sessions and/or group facilitation to ensure you can deeply connect, in a relaxed way, while still ‘staying clean’ energetically—so you don’t get nearly as tired (and/or potentially triggered!) during your work with others. Become skilled at identifying exactly where & how the interpersonal flow of energy and awareness is being blocked or distorted by the Bodymind. You’ll also learn 4 core methods—and clear protocols you can do with clients—to quickly shift these imbalanced states into a more easeful, empowered, and connected place. Discover how relating with others can become simpler, easier and more natural, by grounding into the body in specific ways that activate and free-up your embodied intelligence and allow you to stop over-thinking things so much and taking things ‘personally’—so you can simply BE more joyfully in the flow of the moment together. Learn a simple, 15-minute embodiment practice, modeled on the natural stages of human development, that can deeply repattern how you hold your feelings, form your thoughts, take action, and connect with others. So if you are a coach, facilitator or other helping professional—and whether you have a lot of prior experience in body-based practices & interventions, or none yet at all—this training is a unique opportunity to learn to work skillfully with the natural intelligence of your body-mind-awareness to make relating with others less stressful and much more easeful and joyful. Working closely with master embodiment trainer Dylan Newcomb for three days, you’ll come away from this intensive workshop with a clear set of principles, practices, and protocols you can use on yourself, and with your clients, to quickly come into a more easeful and empowering experience of relationship. This workshop will run from 9:30 to 18:00 each day, with a 90-minute lunch break at 12:30. Dylan Newcomb is a mind-body researcher, coach, teacher, and founder/director of the UZAZU Embodied Intelligence method. He helps coaches, therapists, teachers, entrepreneurs, and cultural creatives of all kinds optimize their mind-body-awareness connection so they can more effortlessly experience the kinds of thoughts, emotions, and behaviors that help them thrive in their personal and professional relationships and take joyful, effective action on their authentic inspirations. Dylan spent the first fifteen years of his adulthood as a dancer, choreographer, and composer. He studied both dance and music composition at the Juilliard School in New York City, danced with the Netherlands Dance Theater before going on to enjoy a successful, multi-award-winning career as a freelance choreographer & composer. Driven by an interest to understand the deeper effects of sound and movement on people’s experience, behavior, and relational dynamics, Dylan co-founded the Danslab Institute for Movement Research in 2003. After several years of research into how vowel sounds affect people’s thought, emotion and behavior, Dylan began shaping his sound-movement research findings into a model—and a method—for helping people quickly shift their inner states. Over the past 16 years now, Dylan has taught his unique approach to embodiment training, currently called UZAZU Embodied Intelligence, to over 3,000 students across 4 continents. He has trained coaches, therapists, group facilitators, policemen, doctors, and business leaders in how to quickly balance their inner states to bring more ease and flow to their engagement in the world. Dylan is increasingly recognized as one of the leaders in the space of bringing the science and practice of embodiment-based personal development into the 21st Century. Dylan lives with his wife Kyung-sun Baek and their daughter Kiana in Freeport Maine, USA.